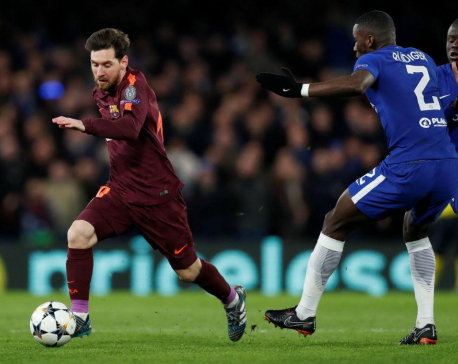 MADRID, Jan 9: Lionel Messi saved Barcelona from its second straight defeat by scoring with a 90th-minute free kick in a 1-1 draw at Villarreal in the Spanish league on Sunday. "We had the game won but it didn't happen because of the talent of a great player," Villarreal midfielder Bruno Soriano said of Messi. 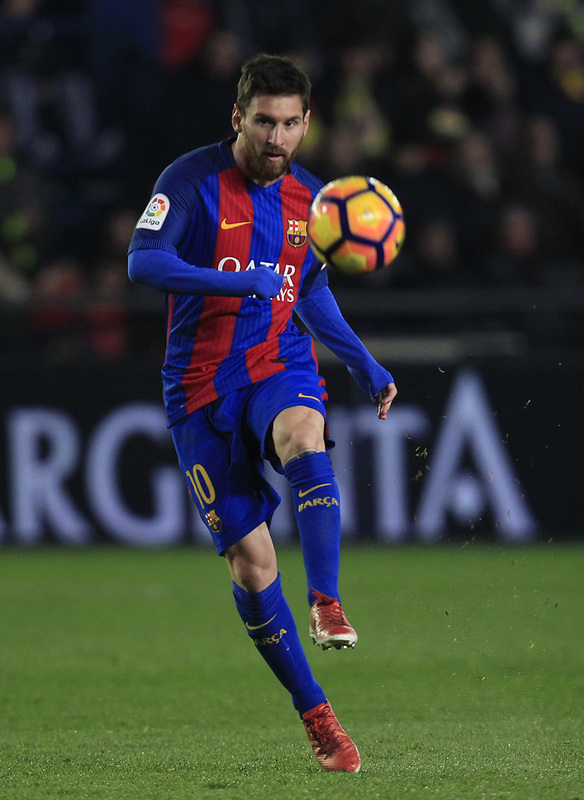 It was the 13th goal for Messi in the Spanish league this season, leaving him as the competition's leading scorer after 17 rounds. The result extended Barcelona's unbeaten streak at Villarreal to 10 matches, dating back to 2007. The hosts scored first with a goal by Nicola Sansone after he was set up by Alexandre Pato in a breakaway in the 49th. Real Madrid, which routed Granada 5-0 on Saturday, has a four-point lead over Sevilla and a five-point advantage over third-placed Barcelona. Madrid also has a game in hand. Sevilla moved second after winning 4-0 at Real Sociedad on Saturday. 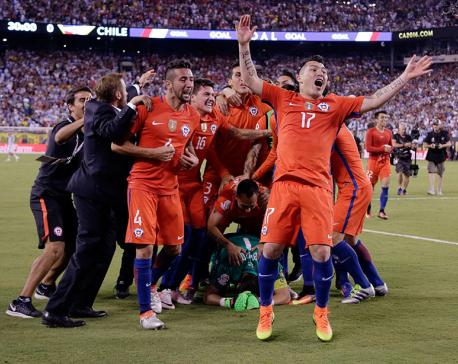 "There is still a lot of league left," Luis Enrique said. "I'm sure we will still be able to fight for it, but we depend on Madrid." Athletic Bilbao was unable to feed off its Copa del Rey win over Barcelona, being held to a scoreless home draw by promoted Alaves. 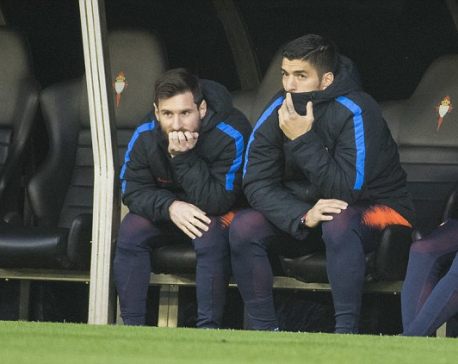 After upsetting Barcelona despite playing the final minutes with nine men on Wednesday, Athletic failed to win again at home and stayed seventh in the league. It was 12th-placed Alaves that came closest to scoring at San Mames Stadium when Victor Camarasa struck the left post with a right-foot shot from outside the area in the 36th minute. Athletic needs a draw against Barcelona at Camp Nou on Wednesday to advance to the quarterfinals of the Copa del Rey. Striker Ruben Castro and defender Cristiano Piccini scored a goal each in the second half to give 14th-placed Real Betis a 2-0 home win over Leganes, which has won only one of its last 10 games and is near the relegation zone. In Vigo, ninth-placed Celta defeated struggling Malaga 3-1 with goals by Iago Aspas, Daniel Wass and Andreu Fontas. On Monday, Valencia will try to halt a seven-game winless streak in the league when it plays at bottom side Osasuna.